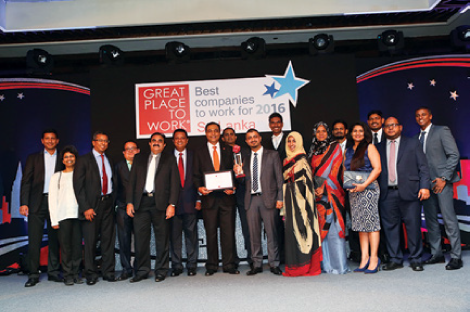 EFL and Classic Travel two flagship companies of Expolanka Group were rated among the top 25 companies at the Great Place to Work (GPTW) Sri Lanka awards 2016 with Classic also securing the Bronze in the Small Size Enterprise award category. This was the second time that Classic Travel has been recognised at the GPTW awards. Previously, at the 2014 GPTW awards, Classic Travel was placed on the top 15 list and won a special award in the Work-Life balance category. Expolanka Holdings PLC divested its 50% stake in Norfolk Foods Ltd in July 2016 to Thailand-based Asia Pacific food conglomerate CPF for a consideration of $ 2.5 million. Expolanka acquired controlling stake in Norfolk in December 2011 for Rs. 300 million, with the investment being clustered under the International Trading and Manufacturing sector of Expolanka Holdings PLC. EFL’s Warehousing and Transportation clusters in Sri Lanka received the prestigious International Management Systems certifications in three core areas from SGS United Kingdom and SGS Switzerland. The certifications are; ISO 9001:2008 - Quality Management Systems, ISO 14001:2004- Environmental Management Systems and OHSAS 18001:2007 - Occupational Health & Safety Management Systems. ISO 9001:2008 - Quality Management Systems certification is based on eight quality management principles namely, Customer focus, Leadership, Involvement of people, Process approach, System approach, Continual improvement, Fact-based decision making, and Mutually beneficial supplier relationships. ISO 14001:2004 Environmental Management Systems support Companies fulfill a range of essential criteria to become sustainable and environmental conscious entities. The main areas include managing environmental aspects effectively, improved compliance with environmental legislation, prevention of pollution, minimising energy and resource usage reducing operating costs, continual improvement in environmental performance, reducing the risk of penalties and avoiding litigation, increased stakeholder confidence and opening new business opportunities with environmentally aware customers. OHSAS 18001:2007 - Occupational Health & Safety Management Systems ensure maximum safety standards for employees by addressing several key areas. The key areas include, hazard identification, risk assessment and determining controls, legal and other requirements, objectives and OHS programmes, resources, roles, responsibility, accountability and authority, competence, training and awareness, communication, participation and consultation, operational control, emergency preparedness and response, performance measuring, monitoring and improvement. EFL received top honours for its sustainable warehousing design with accreditation as Sri Lanka’s first LEED Gold warehousing facility. With a vision for long term sustainability, the stateof- the-art warehouse in Colombo is designed in compliance with LEED Gold standards and received the nod from the accrediting body recently. The 100,000 square foot warehousing facility is energy efficient and sustainable with minimal impact on its surroundings. The building handles over 400CBM of goods a day and manages a turnaround of 25 trucks on average to support the exports of some of the country’s largest apparel manufacturers. During the certification process the facility was awarded 73 points in the USGBC LEED rating system, thus fulfilling the requirement for a Gold certification. The building scored high on all the categories under consideration including Sustainable Sites, Water Efficiency, Energy and Atmosphere, Materials and Resources, Indoor Environmental Quality, and Innovation in Design and received a special commendation in the Energy and Water categories on account of the highly efficient VRV cooling system and a lighting system that maximises the utilisation of natural light. 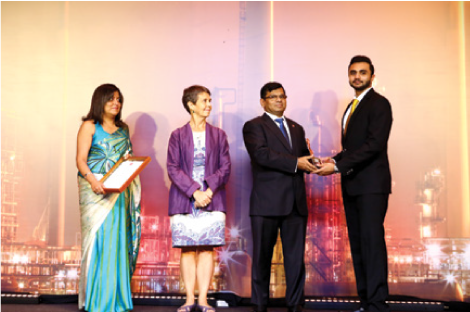 Equipped with a solar PV installation on the roof of the building, the biggest of its kind in Colombo city, the building was awarded maximum points for energy efficiency as it saves more than 50% energy in comparison to the energy use of a conventional building. The solar panels supply almost the entire energy requirement of the building. LEED, more formally known as Leadership in Energy and Environmental Design, is the leading benchmark in green building that recognises best-inclass building strategies and practices. LEED-certified buildings are recognisable by their resource efficiency alongside minimal usage of water and energy. They also reduce greenhouse gas emissions and as an added benefit, minimise cost. The travel and leisure industry and the event management business saw the birth of a new phenomenon, when Classic Travel partnered with Showbiz veteran Imran Saibo of Funtime to launch Classic Funtime. The brainchild of Classic Travel, Managing Director Saif Yusoof, who recognised the opportunity of combining the two power houses to offer new experiences in both business and leisure travel along with entertainment and conference options in one total solution. 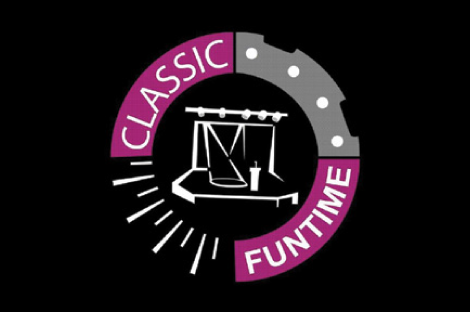 Classic Funtime was launched at a glittering evening held at the Hilton Colombo ballroom, amidst a distinguished gathering of corporate and travel heads, Government dignitaries and the well-known artists of Sri Lanka’s showbiz industry. boast of an international client portfolio, Funtime has embraced and introduced technological trends ranging from video mapping at iconic landmarks to coordinating large scale conferences on par with global events in terms of concept and management. 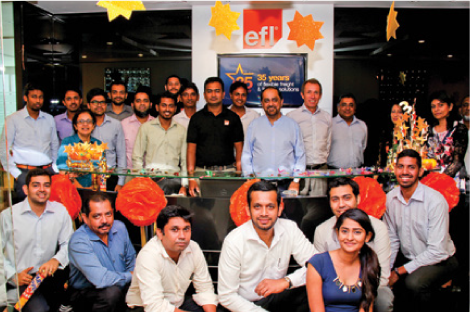 The year 2016 marks the 20th anniversary of EFL’s operations in India and Mauritius. Over the past two decades both these operations have grown tremendously, paving the way for EFL to venture into other territories in the region. June 2015 between India, Bangladesh, Bhutan and Nepal to ensure smooth cross border passage for cargo and passenger vehicles. The new simplified process is a boon for apparel-centric economies, making the region more competitive not just to global brands but also to the emerging domestic sector looking at regional growth. Industry experts predicted the agreement will effectively reduce transit time for cargo trucks by approximately three days, and overall logistics costs by up to 20%. Moreover, transforming what are traditionally perceived as transport corridors into economic corridors could potentially increase intraregional trade within South Asia by almost 60% and with the rest of the world by over 30%. Marking the historic event, a truck carrying cargo was allowed to cross over to India from Bangladesh without adhering to the customary process where the consignment is unloaded and transferred to another truck at the border. As per the terms of the agreement trucks now follow a new Customs inspection and verification procedure using the E-Seal, which was affixed to the EFL truck in Bangladesh. The trucks can be monitored via GPS, enabling customers to track the much faster movement of their cargo. This streamlined solution will continue to offer complete visibility to global customers sourcing from the region. Expolanka Holdings emerged runners up at the ACCA Sustainability Awards in the Diversified Conglomerate Category. This award was presented by the Association of Chartered Certified Accountants. Expolanka won this award for the second time, having received the same recognition at the 2014 Awards ceremony. The report reviewed by independent auditors, offer a clear image of the company’s economic, environmental and social impact to its internal and external stakeholders. Thus far, the report showcased Expolanka’s sustainability activities in accordance to the ‘Core’ option under GRI guidelines. To mark its milestone 35th anniversary, EFL reaffirmed the commitment to its core mission and values, with a strengthened focus on Asia’s flourishing fast fashion market. Since 1982, Expolanka Freight (EFL) has set itself on par with global peers through focused delivery of flexible and customised solutions to support complex and time-constrained logistical needs. Over the years EFL has made a name as a specialised freight service provider for the apparel industry, including a number of leading global fashion labels. EFL’s expertise in fashion logistics will drive the company’s core business to cater to the thriving fast fashion markets in Asia. Major fashion brands are entering high-value retail markets in China, Hong Kong and India-countries in which EFL already has a presence. The global fashion industry’s biggest names are EFL clients, faithful to the company’s on time deliveries and direct to store forwarding capabilities enriched by the expertise of resident fashion retail specialists and a host of value addition facilities. Central to the Expo Group strategy is a single set of priorities that underpin the Group’s growth-centered approach and articulates the Group’s vision to secure market-leading positions in the two main sectors; logistics and leisure. Towards this end, all ongoing efforts focus on building resilience and enhancing the robustness and agility of two business models in order to overcome macroeconomic challenges and fuel growth in each sector, in tandem with the overall strategic aspirations of the Group. Continue expansion (and Investments) in the Outbound and Corporate Travel Market to drive growth, profitability and operational efficiencies. Revenue 63,492 56,015 13% Logistics sector recorded a growth in revenue by 15% driven by volume growth both in Air and Ocean and in US & Europe Trade lanes. Leisure sector recorded a revenue of Rs 4.7 billion. Both Inbound and Outbound operations performed well, posting a high level of growth. 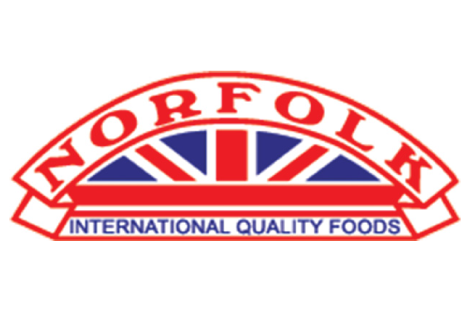 Investment sector drop in revenue by 4% mainly due to divestment of Norfolk Foods (Pvt) Ltd. Cost of Sales (56,293) (45,656) 15% Higher freight buying rates due to market capacities and increase in cargo freight impacted the Logistics sector cost of sales to increase by 16%. Other Income 324 380 -15% Strengthening of currencies resulted in drop in Exchange gains comparative to last year causing a drop in other income which was negated to some extent by unrealised Fair Value gains of LKR 123m on acquisition of balance 50% stake in Expo Global Distribution Centre. Overhead (9,499) (8,637) 9% Revenue growth, additional resources to support growth and inflationary impact contributed for the overhead cost to rise. Share of profit of an associate and Joint venture 22 37 -41% Drop in profits in Joint Ventures in Bangladesh reduced the Share of profits. 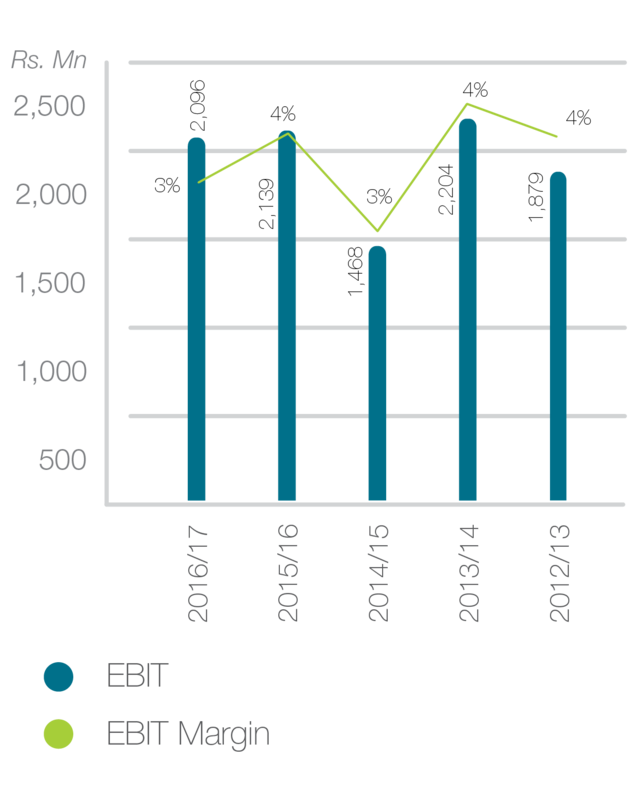 EBIT 2.096 2,139 -2% Drop in Other income and increase overhead resulted a 2% drop in EBIT. Finance Charges (403) (92) 341% Fall in value of Available for Sale financial assets of LKR 239 Mn and additional borrowings fueled by revenue growth coupled with a significant increase in borrowing rates resulted in increased finance charges. Profit Before Tax 1,692 2,047 -17% Lower gross profit margin and fall in value of available for sale financial assets and increased overhead were the key drivers for the drop in profit before tax. Income Tax Expense (464) (601) -23% Better tax management and comparative lower profit resulted a reduction in tax provision. Profit for the year 1,229 1,446 -15% Lower gross profit margins and fall in value of available for sale financial assets and increased overhead were the key drivers for the drop in profit after tax. 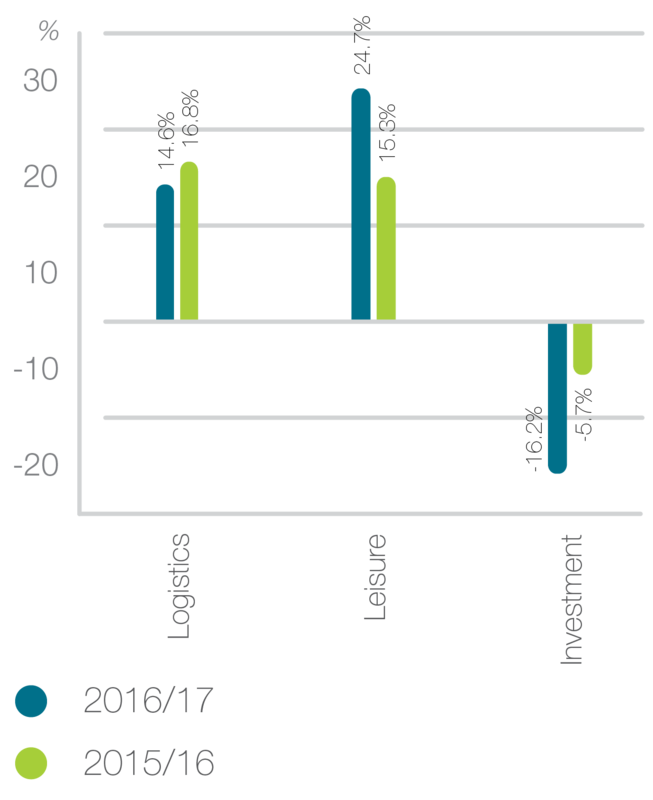 Led by strong topline growth in both Logistics and Leisure sectors, Group Revenue topped Rs. 63,492 Million, for the year ending 31st March 2017, up by 13% compared to the previous year. I would like to start by informing you that the Chairman of your group company, Mr. Nobuaki Kondo has stepped down and I am taking over his position and responsibility. Serving as the first chairman representing SG Holdings for the period of over 3 years, Mr. Kondo guided the Group on the right track towards progressive growth, cascading a plan to action that has continually grown the boundaries of commercial achievement balanced by ethical governance in a globally challenging market place. As the fellow director of the board I have witnessed his excellent leadership and visionary stewardship during his tenure. During his term as a chairman the Group has continued to better its own record year after year. 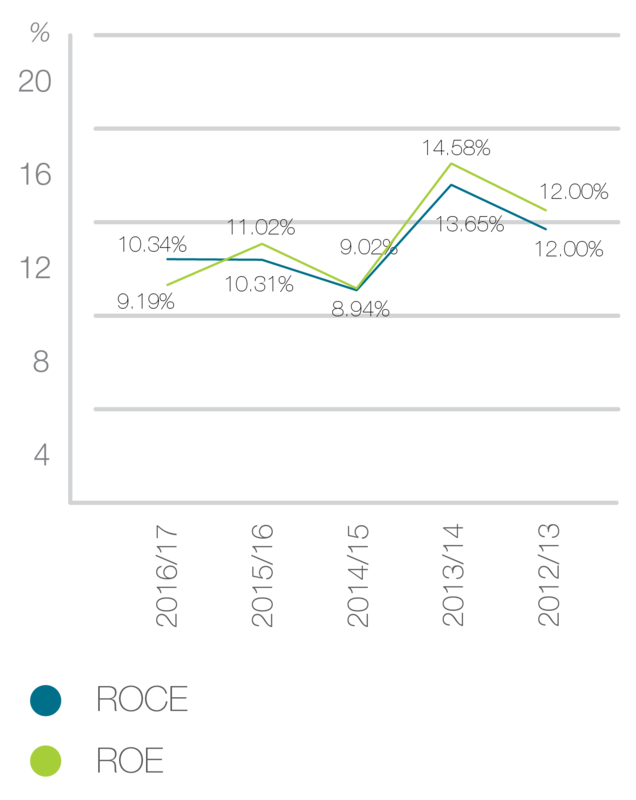 Led by strong topline growth in both Logistics and Leisure sectors, Group Revenue topped Rs. 63,492 Million, for the year ending 31st March 2017, up by 13% compared to the previous year. Mr. Kondo mentioned to me that which was most gratifying for him, even more than the results; is seeing the evolution of EFL – the Group’s iconic logistics brand. 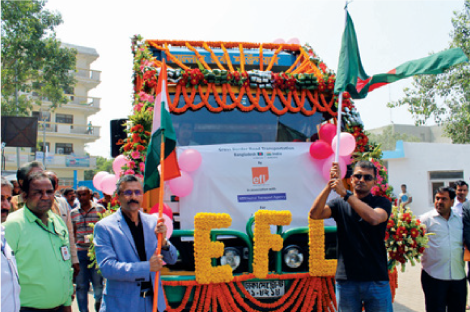 The past few years have been marked by transformation and growth, where EFL has evolved from a localised player to become a formidable giant in integrated logistics in the Indian Subcontinent. Today, EFL continues to leverage its competitive advantages as a leading logistics brand to expand in all key markets backed by sound strategies that focus on identifying, influencing and harnessing opportunities in the operating environment. During the year the Group continued it’s strategic realignment plan, a process that began following the strategic tie up with SG Holdings in 2014. As per the plan outlined at the time, the Expo Group has since then continued to exit from non-core operations, with the divestment of the Group’s stake in Norfolk Foods in July 2016 marking the final phase. At the same time, we continued to work on shedding passive investments that have been affecting our performance. This leaves the Group to focus only on core areas where our strengths lie; in Logistics and Leisure. The result being, a simpler and more centered structure that we can leverage on, to accelerate our growth trajectory. To sharpen our focus in the Logistics sector, we made strategic investments to expand, mainly in key markets that have shown tremendous year-on-year growth over the past three years. I am confident that, these investments will give EFL a firmer footing from which to strengthen these markets. Meanwhile, from a serviceability perspective while staying true to the asset-light operating model, we continued to build capacity to solidify our position as an end-to-end Logistics service provider in Sri Lanka. With regard to the Leisure sector, I am pleased to see that the “Classic” brand continues to grow from strength to strength, with its leadership position in the corporate travel segment intact. To further build on this momentum, in the year under review, we extend the Classic’s corporate travel proposition, in particular to broaden our offerings in the inbound corporate travel and the MICE segments. While growth is a given for any business, growing sustainably has become even more important in the modern context. It is why at Expo, we have adopted a long-term and holistic management approach towards sustainability. Spearheading the Group’s transition into a more sustainable business paradigm is; VIVA – our logistics-centered sustainability reporting initiative that was launched in 2016. Focusing on four material sector-specific sustainability issues; Environment, Community, Labour / HR and Safety, the main purpose of VIVA is to embed stricter monitoring and control mechanisms to address these material sustainability aspects and also to support greater transparency in reporting of relevant sustainability indicators. 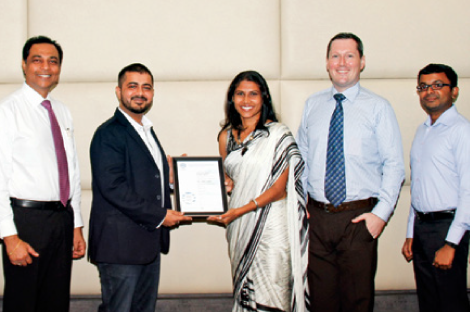 In a notable achievement, which I fully credit to VIVA, EFL’s – Sri Lanka operation became the first organisation in the country to achieve the ISO14064 standard for the tracking of Green House Gas (GHG) emissions. Thanks to our robust operational strategies and holistic sustainability management approach, the Expo Group continues to create value on multiple dimensions. This is what we strive to illustrate through our Integrated Report, which explicitly highlights how different resources are incorporated to build financial, manufactured, intellectual, human, social, and natural capitals in order to deliver value outcomes for our stakeholders. Reporting on our efforts in this manner, quite simply increases transparency and I am convinced that long-term investors will welcome this forward-looking integrated reporting approach. The Group has continued to excel in many spheres as evidenced by the countless awards and accolades accumulated over the years. This year was no different. However, among the many accolades received during the year, what I find most rewarding is the increasing recognition the Group is receiving for its commitment to create sustainable value for stakeholders. 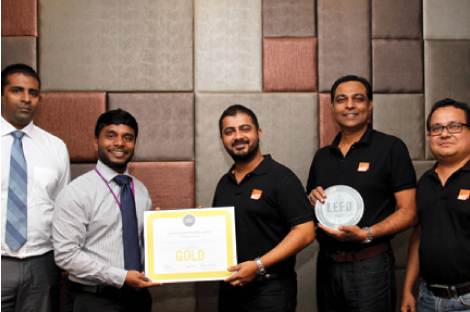 Testifying to this, EFL- Sri Lanka and Classic were both recognised as Great Places to Work; EFL Sri Lanka was ranked 9th among the top 25 employers, in the 2016 GPTW (Great Places to Work) survey conducted by the GPTW Institute in Sri Lanka, while Classic Travel received the Bronze award in small-scale enterprise category at the 2016 GPTW awards. Meanwhile, EFL’s Gold award at the National Business Excellence Awards (NBEA) in recognition of the contribution to leadership, corporate governance, capacity building, CSR, environmental sustainability and performance management, further validates the relevance of the VIVA strategy. While there could be many unforeseen reasons why the future may be even more challenging and demanding than what we have experience thus far, reflecting on the broad-ranging changes we have introduced over the last three years, I remain confident that as a Group, Expo is well positioned to benefit from being more efficient, effective and competitive in the long term. At the same time, reaching sectorspecific growth objectives would call for renewed focus on strengthening core competencies. In the Logistics sector, this means strategically we need to grow beyond the market and be resent in the markets where growth is taking place. While our captive markets will continue to play an important role, expanding our business focus in all high-growth and emerging markets remains the key to catalysing our long-term growth objectives. In the Leisure sector too we will need to build our portfolio to position ourselves as the only fully-fledged end-to-end service provider in Sri Lanka. As this reporting period ends, we are proud to mark another exciting phase of growth. Over nearly four decades, Expolanka has been ably steered towards phenomenal growth by a Board of Directors and an Executive Management team that has had the vision for global business. Since the partnership with SG Holdings began, we have been focusing on synergies and leveraging on our combined expertise as we expand globally. I firmly believe that we are a competitive force for change and that centered approach will open new horizons as our international logistics sector opens up to a broader marketplace. Let me assure you, that Expolanka will continue to not only deliver value but also to enlarge that value over the next few years. 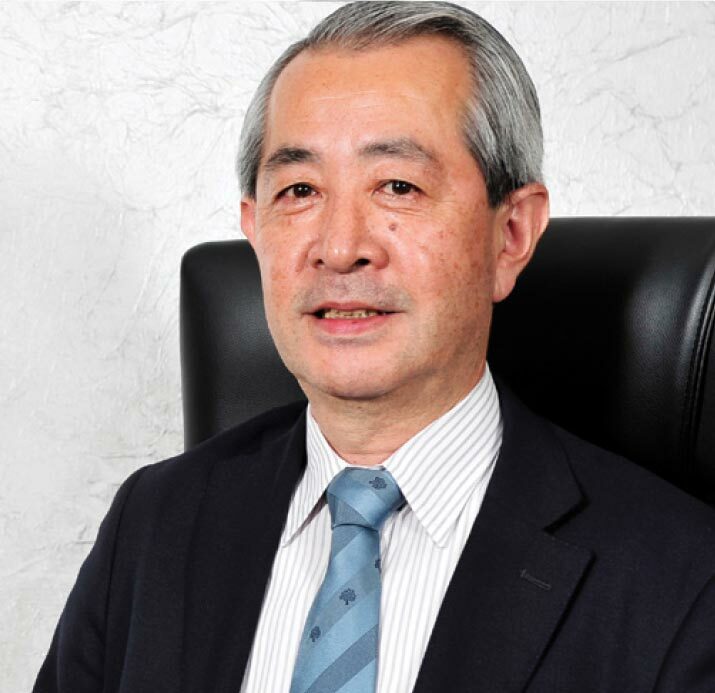 Lastly but not the least I would like to express my sincere appreciations to Mr. Nobuaki Kondo for doing a great job as a chairman for the last 3 years I am honoured to take the reins from him, and in doing so assure you of my best intentions to deliver on the vision and mission of your Group. Being a diversified Group, our interests in a broad range of sectors meant having multiple, and sometimes competing priorities. We found that this was not only weighing us down, but also diverting our attention from what is important and urgent – growth in core sectors. At Expolanka Holdings PLC, the one true measure of our success is our ability to grow sustainably for the benefit of all our stakeholders. Over the years we have focused on becoming more agile, meeting strategic milestones and continuously improving operational structures of each of our businesses, all of which has enabled the Group to consistently outperform its previous best efforts. Moreover, our overall achievements in recent years are also due to clear management strategies aimed at leveraging on opportunities and overcoming challenges in the macro environment. Before I present the numbers for the year, it is therefore important to consider the macro economic factors that had a bearing on our performance. Stalling global trade, weak investment, and heightened policy uncertainty led to depressed world economic activity, with global growth estimated to have fallen to 2.3% in 2016. Growth across major advanced economies decelerated in 2016 as growth in the United States slowed, dampened by soft exports, a continued draw-down in inventories, and a deceleration in private sector investments. However, in the run-up to the U.S. elections and its immediate aftermath, notably improved market sentiments led to higher trading activity from about September 2016, which augured well for EFL’s North American operations in the latter half of the financial year. In the Euro too, growth remained slow as both domestic demand and exports lost momentum. Growth in China is estimated to have slightly decelerated in 2016, as part of ongoing economic rebalancing, with growth driven primarily in services, while industrial production stabilised at moderate levels. In the context of an increasingly volatile and unpredictable macro-economic environment, we revisited each of our business structures. By and large, in the industries in which we operate, we compete against a formidable peer group and our main goal was above all, to stay focused on what we are good at. To be a sustainably profitable organisation in this operating context, we realised that we need to be absolutely clear on what our strategic aspirations are and how they translate into an achievable near- to medium-term strategy. Being a diversified Group, our interests in a broad range of sectors meant having multiple, and sometimes competing priorities. We found that this was not only weighing us down, but also diverting our attention from what is important and urgent – growth in core sectors. Having already begun the process of exiting non-core business in 2015, we continued with the trend in this year too. The divestment of the Group’s 50% stake in Norfolk Foods Ltd for USD 2.5 million was part of strategy to focus only on core sectors. To further clarify our strategic objectives, we then embarked on a “centered” approach, to stay firmly anchored to the sectors where we have secured a leadership position in the market. This prompted strategic shift towards our core growth sectors of logistics and leisure, where we established a set of priorities to build equity for our two core brands “EFL” in logistics and “Classic” in leisure, which we hope would improve business scalability and drive our longer-term strategic deliverables in both sectors. In this context, we took leverage on our strengths to grow organically, while also exploring potentially feasible inorganic growth structures, in an effort to sharpen our brand profiles and position both “EFL” and “Classic” as premier end-to-end solutions providers in their respective business space. In the logistics sector - the mainstay of the Expo Group’s operations, the strategy centered on strengthening EFL’s presence in key high growth markets, prompting the Group to increase its stake in EFL’s USA operation. Having already established a presence in the USA, a strategic decision was made to acquire the remaining 30% minority holding from the US partners. During the year, EFL completed a landmark deal to gain 100% control of the USA operation, which will pave the way to strengthen the network, improve connectivity and fuel growth from across the our largest volume driver - the North American Trade lane. Another key development was the decision to increase EFL’s stake in China by acquiring the remaining 25% from the local partner and gaining EFL 100% controlling interest in the China operation. I believe that strengthening EFL’s position as a regional player in this manner gives us the necessary thrust to grow our reach across the Intra-Asia trade lane. The Group also secured 100% controlling interest of EGDC (Expo Global Distribution Center) Sri Lanka, as part of the Group’s new “centered” approach to consolidate the logistics cluster in Sri Lanka. And with our priorities, firmly in place we added Mr. Peter Larsen as COO of EFL HQ. I am confident that Mr. Larsen whose vast experience in global logistics would play a critical role in executing strategy and steering the sector towards achieving its long-term growth objectives in the years to come. Further, as part of the growth strategy for Sri Lanka, the warehousing and transportation operations were also strengthened bearing in mind the Group’s asset-light business philosophy. Meanwhile, to reorient towards becoming end-to-end service provider in the highly competitive and fast-paced leisure industry, we took a closer look at the business model and overall brand strategy of the leisure sector. To further improve the robustness of the leisure sector offerings, in September 2016 we partnered with Fun-Time, an event planning and management company. Steps were also taken to further enhance our value-added travel proposition; Exporail, where given inherent challenges that come with the rail business, we looked to broaden the scope and position the offering to complement the “Classic” brand. As part of the ongoing restructuring process, we also clustered our trading, organic food manufacturing operations and other new ventures under the Investments segment. Setting up of I T X 360 in September 2016 was also part of this strategy. Marking the first phase of the venture, I T X 360 commenced operations as a specialist IT solutions provider for the logistics industry. The Group Revenue for the year under review was Rs. 63,492 Million, up by 13% compared to the Rs. 56,015 Million tabled for the previous year. The logistics sector Revenue for 2016/17 increased by 15% to Rs. 54,457 Million from to Rs. 47,290 Million in 2015/16. Both air and ocean freight recorded strong volume growth in the current financial year, driven by healthy volumes from the US trade lane and strong results from the Group’s core markets in Sri Lanka, India and Bangladesh. Far east markets mainly Indonesia, Vietnam and Hong Kong also performed well and contributing positively to the overall sector growth. 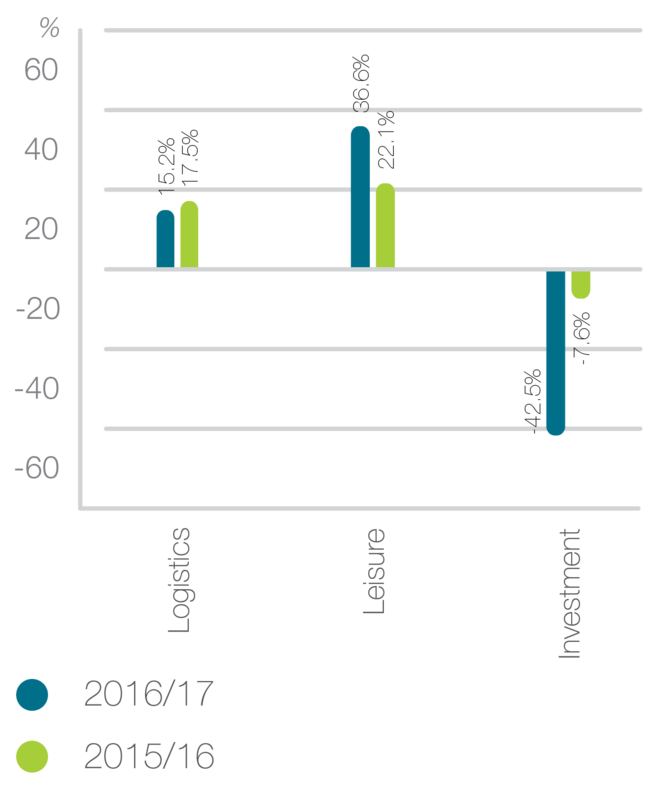 In addition, thanks to effective yield management, ongoing cost rationalisation and streamlining of global procurement the sector’s year-on-year bottom line also witnessed strong year-on-year growth. The Leisure sector tabled Revenue of Rs. 4,670 Million up by 12% compared to the Rs. 4,160 Million recorded for the previous financial year. The sector performance for 2016/17 was underpinned by the strong positive results reported by the outbound B2B operations, which remains the largest contributor to the sector’s performance. The Investments sector recorded Revenue of Rs. 4,365 Million for the year ending 31st March 2017, 4% lower than the Rs. 4,565 Million reported for the previous financial year. This drop is mainly on account of divestment of Norfolk Foods. Led by its growth-centered shift towards logistics and leisure and also the divestment of non-core operations, the Group’s gross profit increased 8% to Rs. 11,199 Million in 2016/17. However, EBIT declined marginally from Rs. 2,139 Million in 2015/16 to Rs. 2,096 Million in 2016/17, being the result of a drop in Other Income and higher overheads to support volume growth in both logistics and leisure sectors. Looking at our operational and financial performance, I hope our stakeholders will share our sense of achievement, given that these results were delivered notwithstanding challenges in the operating environment. With the Group’s strategic focus shifting towards high-growth sectors, we revisited our commitment to sustainability. Moving towards greater integration, we looked to sharpen the realignment between our sustainability strategy and our business goals, so that we may then create meaningful economic, social and environmental progress. Starting with the logistics sector, in 2016 we rolled out a sustainability strategy entitled VIVA, through which we seek to deliver value across four key pillars; Environment, Community, Labour / HR and Safety, thereby enhancing the longterm sustainability of all stakeholders. progress in line with globally accepted best practices, including the ISO 14064 certification for EFL Sri Lanka. We also started tracking point-to-point emissions based on the guidelines issued by DEFRA (Department for Food and Rural Affairs), UK. From a community perspective, although we remain committed to offer assistance in times of need, we shifted away from a purely philanthropic approach and instead began using EFL’s global positioning to address critical social issues that are relevant to our times. In this context, our projects in Sri Lanka, India and Bangladesh focus mainly on uplifting the standard of education among rural communities in these countries. I must also reiterate that as part of our commitment to society, we have continued to provide assistance to our fellow citizens at times of disaster. In fact in the wake of the massive flood that devastated the country in May 2016, we were among the first to offer logistics support to the communities in distress. With regard to Labour / HR our goal is to create a progressive workplace where our people feel valued and can pursue both personal and professional growth by becoming active participants in the success of the business. At the same time, safety of our employees is of paramount importance to us. Given the nature of the business, our warehousing and transportation divisions in Sri Lanka are subject to safety hazards. As such, through our VIVA initiative, we are looking to become more pre-emptive rather than reactive in addressing issues relating to workplace safety. Our goal is to maintain zero injuries and fatalities, for which we have put in place safety mechanisms that include strict controls, regular monitoring and reporting to ensure safety systems are in alignment with global standards. While we expect global economic conditions to improve in the forthcoming year, we do however remain conscious that unforeseen events are likely to bring fresh challenges for the Group. In this context, the next steps would be to build resilience and strengthen the Groups’ DNA in both logistics and leisure sectors. In the logistics sector, the main priority would be to position EFL as the first global logistics brand originating from the sub-continent. To drive this, we expect to pursue a two-pronged approach; grow the freight business and expand the logistics operations globally. At the same time, sharpening EFL’s profile as an end-to-end logistics service provider calls for renewed efforts to expand the warehouse and distribution management model globally. To support these goals, the Group would continue to invest in growing the warehousing inventory and also in technology-driven service platforms. I can categorically state that the Group’s assetlight model would continue to underpin all our endavours in this regard. We also have ambitious plans for our newest venture – I T X 360, where we hope to build on the expertise gained as a IT specialist for the logistics industry to service the IT needs of other high-growth sectors in the economy. In the leisure sector the main priority would be to strengthen existing verticals and build brand equity. Meanwhile, expanding into new verticals to create greater visibility would reinforce “Classic” as the only truly integrated leisure solutions provider in the Sri Lanka. Doing so however, would mean identifying suitable strategic partners who not only possess the required expertise but are also the right fit for the brand. As we move forward with these plans, we are convinced that that the next few years would herald a new era of unprecedented growth that would bring prosperity for all stakeholders of the Expo Group. In closing, I would like to thank the Chairman and Board of Directors of Expolanka Holdings PLC for the strategic oversight and direction that has made the Group what it is today. I take this opportunity to thank the outgoing Chairman, Mr. Nobuaki Kondo for his guidance and steadfast support over the past three years. I also wish to express my sincere thanks to the Executive Management and the Expolanka global team, for their admirable efforts grow the business in a challenging environment. My sincere gratitude also to our valued customers, investors, bankers, suppliers and business associates for their ongoing support. And finally, to our shareholders who have supported us over the years, I wish to thank each and every one of you or the trust and confidence in the Group. And as Expolanka Holdings PLC enters a new era of growth, I seek your continued patronage in the years ahead. Stemming from the Materiality Assessment Process outlined, we determine our strategic sustainability imperatives in cognisance with the Group’s sustainability vision “to be a leader in enhancing the long term sustainability of all stakeholders”. Having embraced the concept of transformative sustainability, our approach is based on a holistic view, where sustainability is integrated into all business decisions, strategies and processes to help us create value for all our stakeholders. As part of our ongoing efforts to sharpen our sustainability performance, in the year under review we introduced VIVA, a sector-specific sustainability strategy for the Logistics sector, where the goal is to position EFL as a sustainability leader in the global freight industry. VIVA, which is also in line with the Group’s new centered approach, focuses on four material sector-specific sustainability issues; Environment, Community, Labour / HR and Safety. The main purpose of VIVA is to ensure stricter monitoring and control mechanisms to address these material sustainability aspects and also to support greater transparency in reporting of relevant sustainability indicators. We are also in the process of developing a similar strategy for the Group’s Leisure sector, which would address sector-specific sustainability issues, for example; offsetting the negative impacts of mass tourism and coastal protection. In addition to our policies, we also have in place, an integrated sustainability governance model to strengthen our overall framework. At the highest-level, the Chairman and CEO provide sustainability stewardship and guidance, while a Sustainability and CSR unit identifies, assesses and implements Expolanka’s corporate sustainability agenda and ensures best practices are followed in the day-to-day execution of these strategies. Spearheaded by the Chief Administration Officer, the unit is also tasked with maintaining a transparent reporting framework that provides stakeholders with information regarding the progress made in achieving sustainability goals. Furthermore, the Group sustainability vision is carried out across all business sectors via a team of CSR champions at each group company, led by a CSR representative who reports to the group-level Sustainability and CSR unit. Healthy performance from Indian Sub-Continent and Vietnam, Hong Kong and Indonesia. Growth through acquisition of new customers as well as existing customers. Increase focus on solution based services to customers. Profitable above market growth through new customers acquisition and servicing of existing customer. Growth in US Trade Lane through new customers and expansion of product offerings. Value added services Margin improvement through operational efficiencies. Adapt environment friendly sustainable practices across business. EFL’s total airfreight volumes grew by 18% year-on-year, much faster than its own 3-year CAGR of 15%. Both air imports and air exports demonstrated year-on-year growth of 20% and 17% respectively compared to the previous year. The core sector of Logistics is the Group’s flagship brand EFL operating in over 55 cities across 18 countries globally. Specialising in air and ocean freight, EFL is ranked among the top freight forwarders in the Asian subcontinent. Despite continued talk on protectionism in USA and Europe signs of increased trade between USA-Asia and Europe- Asia were evident in 2016. Consequently, the global airfreight industry, where volume growth measured in freight tonnes increased by 3.8% in 2016 compared to 2015. This was nearly double the industry’s average growth rate of 2.0% over the last five years. Meanwhile, marred by rate fluctuations and overcapacity the global ocean freight industry experienced a turbulent year. The ocean freight industry suffered a further shock, as freight rates between Asia and North America shot up in the immediate aftermath of the Hanjin Shipping line bankruptcy. Numerous other consolidations between shipping lines only served to heighten the tension in the ocean freight industry, adding to the volatility seen for much of 2016. Given the operating environment, we stayed firmly centered on growing the core business, a strategy that delivered good results leading to improved market share driven by consistent volume growth in both air and ocean freight. EFL’s total airfreight volumes grew by 18% year-on-year, much faster than its own 3-year CAGR of 15%. Both air imports and air exports demonstrated year-on-year growth of 20% and 17% respectively compared to the previous year. EFL did leverage on the overcapacity situation in the ocean freight industry to its advantage, by sharpening its procurement processes to facilitate a more competitive pricing strategy. Consequently, total ocean freight volumes for 2016/17 increased by a 16% compared to the previous year, bolstered by a robust 23% increase in ocean export, and a 6% growth in ocean imports. From a regional perspective, EFL’s volumes from the North American trade lane continued to grow consistently, maintaining its 3-year Compound Average Growth Rate (CAGR) at 9%. Positive market sentiments and increased consumer spending in the US led to higher volumes to-andfrom the North American trade route. Consequently, the North American trade lane once again accounted for a majority, 42% share of EFL’s total volumes for 2016/17. The Europe trade lane, with a CAGR of 9%, accounted for 22% of total volumes for the year under review. Growing at a notably faster pace, (3-year CAGR of 17%), the Intra-Asia trade lane came in third, accounting for 19% of EFL’s total volumes for 2016/17. Much of the growth Intra-Asia trade lane was driven by higher cargo uptake from the Far East (Vietnam and Hong Kong), which in turn helped to offset weaker performances in Middle Eastern & African markets. Expansion in the USA and China was seen as a key strategy that would put EFL on an accelerated growth path in the next few years. Having previously established collaborative partnerships in both countries, EFL increased its stake in its USA operations through a direct acquisition of the remaining minority holding, giving EFL 100% control of the USA operation. Having controlling interest in EFL’s USA operation is deemed critical in strengthening the network, improving connectivity and catalysing growth from the critical North American Trade lane. With the Intra-Asia trade lane also identified as a key growth pivot, the company acquired the remaining 25% of the shares to obtain full stake, enabling EFL to further consolidate its position in the region and to improve scalability for the future. In 2016, EFL took its first steps towards implementing an integrated sustainability strategy for the global freight operation. 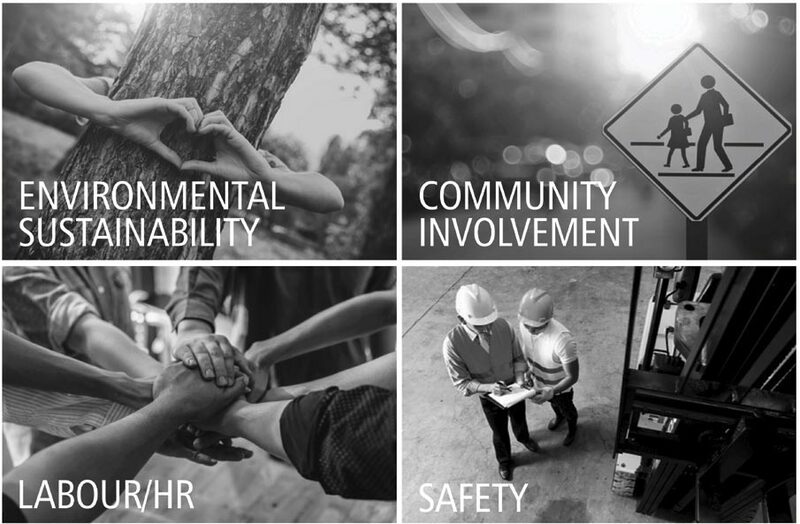 Launched as VIVA, EFL’s new sustainability strategy is commonly applicable to all EFL operations worldwide, the ultimate objective is to enhance the long-term sustainability of all stakeholders visà-vis four key pillars; Environmental Sustainability, Safety, Labour/HR and Community. The key objectives under each pillar are; Building awareness regarding sustainability among key stakeholders and having in place mechanisms to track EFL’s progress on key sustainability indicators; Working towards minimising environmental impact through the reduction of EFL’s carbon footprint; Inculcating globally accepted sustainability practices throughout the supply chain and operations; Improving the lives of the people in the communities impacted by EFL’s operations. Details of progress made for 2016/17 are captured in the Natural Capital Report (Page 56), the Human Capital Report (Page 46) and the Social and Relationship Capital Report (Page 61). The main agenda for the immediate future would be to create a framework that would put EFL on a path for exponential growth, where the key focus would be to get a firmer footing in highgrowth regions, by leveraging on the solid foundations and positive market conditions. The near term strategy would be to optimise airfreight growth on the intra-Asia trade lane, while at the same time making inroads into untapped territory, in particular the Transpacific trade lane. Meanwhile, with the overcapacity situation in the global ocean freight industry likely to continue for the foreseeable future, proactive yield management strategies would be imperative. In the short term, this calls for an extensive focus on growing ocean freight volumes in all trade lanes, with equal emphasis on both import and export. However on the flip side, overcapacity would also facilitate more efficient procurement that would enable competitive pricing to help grow the ocean freight business in the long term. The long term prospects for EFL based on achieving the right customer mix, which would require EFL worldwide to grow across all industrial verticals, while further strengthening the brand as the premier specialist in end-to-end logistics. With over 550,000 sq.ft. of warehousing space across Sri Lanka, together with a complete range of added value services, including storage, case-level picking and packing and strong national distribution network, have helped position EFL as the premier integrated logistics service provider in the country and possibly even the region. Having successfully reoriented operations to introduced diversified business models to augment revenue generation capacity, the Warehousing operations registered a complete turnaround in performance compared to the previous financial year. Revenues for the year reached Rs. 512 Million, up by a phenomenal 87%, compared to the Rs. 274 Million reported in the previous financial year. The Warehousing operation tabled a profit of Rs. 21 Million, a complete turnaround from the loss of Rs. 27 Million recorded a year ago. warehouse unit to map manpower requirements cognisant to the specific needs of the customers’ business cycle. Strategies to strengthen relationships with manpower suppliers were also initiated in an effort to improve the alignment between the manpower pipeline and the cyclical demands of key customers. Providing value added services to support and enhance the value chain of the customer, continued to be a key area of focus for EFL, prompting ongoing investments in software and technology in order to build capacity to better serve this key vertical. The roll out of the tier 1, High-jump software was fully completed in the current financial year, culminating a three-year journey to introduce the state-of-the-art Warehouse Advantage solution that would provide the opportunity to deliver complex warehouse management solutions to keep pace with the evolving needs of customers in the apparel industry. Another customer-driven initiative was the investment in GT Nexus, a global cloud-based supply chain platform that enables seamless integration of logistics function along with the customers’ global partner networks. A consistent, up-to-date information source that supports multiple supply chain functions, the GT Nexus platform gives the customer greater visibility and better control over the end-to-end processes. Leveraging on the greater visibility afforded by the GT Nexus platform, steps were taken to diversify into other verticals. Meanwhile, the decision to venture into last-mile delivery signals the next focus area of the business. As part of the initial effort, an EXPRESS courier unit was set up in the year under review, to service the emerging needs of the e-commerce business in Sri Lanka. As part of this strategy the ground transport fleet was strengthened. Moving forward the focus would be to further enhance the integrated logistics value proposition and position EFL as a specialised integrated logistics service provider for all high-growth sectors of the economy. As a first step, this will require renewed efforts to expand the warehouse management model by tapping into new verticals. While increasing the warehousing inventory will remain a priority, doing so vis-à-vis an asset-light model is considered equally important as it would support greater efficiencies and resource optimisation in the long term. Meanwhile, investments in technology-driven service platforms will provide added market leverage in the integrated logistics sphere. The continued growth of e-commerce and corresponding expansions in lastmile deliveries will drive future growth agenda. Here too strengthening the ground transport network is seen as critical, as it will facilitate the capacity needed to provide on-demand delivery and position EFL as the preferred on-boarding partner for last mile delivery in the years ahead. trade and transshipment activities in the Indian sub-continent. As Sri Lanka’s first free port operation, EGDC offers the full gamut services for all offshore supply chain requirements. In the year under review, the Expo Group acquired full control of the EGDC free port operation, as part of the “centered” approach aimed at consolidating the Group’s logistics operations. The move also underpins the Group’s broader long term plans to transform EGDC into a fully-fledged transshipment hub operation, with the capacity to provide origin based value added services for the region. The Group’s marine services arm, Pulsar Shipping offers complete operations and management services and ship supply services for Oil Majors, Offshore operators, ship managers, operators and Owners around the world. Leveraging on the growing volume number of vessels traversing the Intra- Asia trade route, the Company recorded satisfactory results for the year under review, reaching Revenue and profit targets set for 2016/17. Aside from strengthening the core business, the Company looked at several strategies during the year to reposition itself as an integrated marine services solutions provider in the subcontinent. As a priority, this meant expanding the scope of the business to tap into emerging opportunities in the marine services sector. Cognisant to this, the Company began offering marine survey services in the region. However, the country’s limited port infrastructure proved to be a deterrent for many vessels, with many found to be bypassing Sri Lanka and heading to other more equipped ports in the region, a fact that has been consistently affecting the Company’s expansion plans. Capacity building was seen as one way to mitigate some of these challenges, prompting the Company to sharpen its alignment with the Group’s key thrust areas. At the same time, ongoing investments in new technology and processes to keep pace with changing business dynamics and benchmark global operational standards in the marine servicing industry, were seen as key business imperatives that would secure an edge in the highly competitive marine services market. Moving forward, the Company will focus building capabilities in the offshore support vessels segment by pursuing all feasible opportunities in the region and beyond. This may include strategic partnerships with global operators to strengthen the Company’s position as the “offshore services provider of choice” in Asia. However, in carrying out these expansion plans, the Company remains mindful of maintaining an asset light strategy advocated by the Group. Moreover, all expansion plans would be accompanied by widespread initiatives to streamline operations and deploy suitable cost controls that would auger well for the long-term prospects of the business. While the group does operate mid sized freight forwarding company such as GLS and UCL the focus is on building brand EFL. In business since 1994, Expolanka’sGSA segment currently manages a network of 16 airlines across 9 countries. The cargo GSA for some of the world largest legacy carriers, as well a number of newer airlines, ACR is the only local airline services management company to have ventured beyond the shores of Sri Lanka. The Company’s multi-country GSA business recorded strong growth for the current financial year, with all KPI’s tabling a healthy increase over the previous year. From a regional perspective, Asia registered the strongest growth, as the Company capitalised on economic growth activities in both China and India to capture a larger share of the volumes on the Intra-Asia route. Moreover, with a fair share of the cargo traffic on the Intra-Asia trade route originating from Bangladesh and Pakistan, the Company leveraged on its strong network presence in the region to grow volumes from these origin counties. Sri Lanka’s contribution to the volume mix also improved in the current financial year, thanks to synergies derived through EFL’s dominance in the Intra-Asia trade lane. Recording a year-on-year growth in volumes, Africa too performed well in the current financial year, considering it that it is still an emerging market for the Company. Effective yield management strategies that were deployed to rationalise the portfolio and optimise returns from key high-growth markets, allowed the Company to end the year with strong topline growth translating into better bottom line results compared to the previous year. Having witnessed the exponential growth in cargo traffic on the Intra-Asia trade lane, the key operational strategy for the year was to focus on further expanding the multi-country GSA model in the Asian subcontinent. With international airlines are seeking GSA partnerships with experienced providers instead of setting up their own ground operations in each country, the Company looked to tie up with key airlines to make inroads into existing as well as emerging markets in the region. The underlying strategy was to develop a robust GSA management model that would enable the Company to manage multiple GSA’s in a multiple countries. enhance its credentials and increase its value proposition. Moving away from commodity-driven and price-driven strategies adopted in the past, the key thrust was therefore to migrate to a more customer-centric business model that would surpass the traditional norms of the airline GSA business. 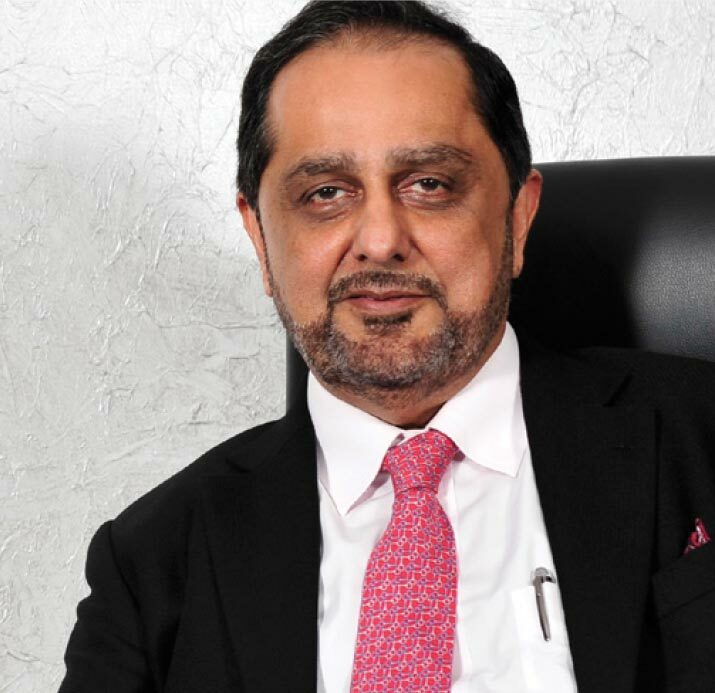 Going hand-in-hand with the focus on the Asian subcontinent and the commitment to become a fully-fledged service provider, the core administrative functions of the business were also relocated back to Colombo in the current financial year. Tying in with the Expolanka Group’s overall asset-light strategy, the new centralised service architecture is designed as a shared support service for GSA’s held by the Company across all geographies. The move is further aimed at consolidating core competencies in readiness for the next big growth phase as a full service business partner for the airline industry. With changes taking place in the global airline industry, the Company remains committed to take proactive action to capitalise on these opportunities in the coming years. Further, it is hoped that the strategic agenda mapped out for 2016/17 would improve the scalability of the business, enabling the Company to pursue diverse growth opportunities that will complement the Company’s multicountry GSA model in the future. Explore new geographies with high outbound markets intra- Asia. Revenues grew by a 12%, from Rs. 4,160 Million in the previous year to Rs. 4,670 Million in the current year, while profits grew by a robust 186% year-on-year. The Group’s leisure businesses coming under the “Classic” umbrella, is among the largest corporate leisure and travel brand in Sri Lanka. Positioned at the high-end of the market, “Classic” is the Expo Group’s flagship travel brand and is synonymous with innovation, cuttingedge technology and best in-class service standards in Sri Lanka’s highly competitive travel industry. Leveraging on its substantial Brand equity and commanding position in the market, the leisure sector tabled exceptional results for the year ending 31st March 2017. Revenues grew by a 12%, from Rs. 4,160 Million in the previous year to Rs. 4,670 Million in the current year, while profits grew by a robust 186% year-on-year. The core outbound travel business, specialising mainly in Corporate and outbound MICE segments recorded strongest growth, thanks to an integrated approach to revenue and demand management. The underlying strategy was to widen the destination outreach, which saw a significant increase in the number of passenger opting for newer high-yielding destinations in Europe and the Americas. If it continues, this trend would likely auger well for the future of the outbound travel business as it signals a shift in customer’s preferences away from the traditional Southeast Asian destinations. Towards more high-end destinations. Meanwhile, the removal of Visa requirements to Indonesia also proved beneficial, leading to a notable increase in passenger numbers to that destination as well. In general, while the partial closure of the BIA in January 2017, did cause some uncertainty in the travel community. In line with the overall Expo Group focus to migrate to integrated business models, the main strategic thrust for the ”Classic” brand for 2016/17 was to diversify into other verticals in the leisure sector. Using the “Classic” brand, as the key lever, the goal was to change status quo and move away from the perception of being only a travel agent and reposition the brand as the only truly integrated travel service provider in Sri Lanka. As s priority, this meant investing in other complementary verticals across the leisure value chain. Spearheading the move to other verticals was the joint venture with a leading event promotion Company – Fun Time, which led to the launch of “Classic Fun Time” in September 2016. The move is specifically aimed at tapping into the huge potential in the global MICE market, an area, which has continued to evolve rapidly over the past few years, and is now a billion dollar global industry. The collaboration between Classic, with its strong corporate client base and Fun Time with its experience in corporate entertainment was seen as an ideal fit to break into this promising market. Moreover, going beyond the boundaries of traditional DMC (Destination Management Company), Classic Fun Time is expected to be the catalyst in putting Sri Lanka on the map as a sophisticated entertainment hub in the South Asian region. At the same time, with the focus centered on strengthening the core brand, the sector divested its entire stake in Akquasun, the destination management company. Meanwhile, to replicate some of the success achieved in the Sri Lanka, the sector took over the management of Classic Bangladesh, where the goal is to develop a suitable leisure proposition to explore the large untapped potential in this market. To bring in renewed attention expo rail the prominent luxury train service was also added to the leisure sector this synergy will allow for more streamlined transportation options to be offered to both local and foreign travelers. Also sector went through some restructuring, especially the support services, which were realigned to facilitate the migration towards becoming an integrated travel solutions provider. All support services were relocated to a dedicated office at Clifford Avenue, while refurbishments commenced on the original building on Galle Road to upgrade the facility as a fully-fledged passenger service center, which will underpin the sector’s transformation into an integrated leisure services provider. With the exponential growth in the demand for leisure offerings, the future for the Group’s leisure sector looks promising. And with the key service architecture now in place, the focus for the future would be cater to the customer demands for a premium value proposition, consistent quality and exceptional customer service. At the same time, continuous expansion into other proven verticals and also securing first-mover advantage in new and emerging markets like experiential tourism, would be critical in building visibility and reinforcing the “Classic” USP as the only truly integrated leisure solution in the country and perhaps even the sub continent. Restructured efforts enables a lean structure. Expand into other coconut based exports. Buoyed by greater stability in the global perishable commodities markets, the Trading arm witnessed good growth in the first half of the year, with all products seeing steady increase in trading volumes. The third quarter however brought a series of challenges that put a squeeze on margins in the second half of the year. The International Trading arm of the Expolanka Group is widely regarded as one of the leading exporters of food products from Sri Lanka. In business for nearly 40 years, the segment specialises in the export of Fresh Coconut, Desiccated Coconut and Fresh Fruits & Vegetables and more recently organic food products including Organic Dried Fruit, Organic Fruit Pulps, Organic Coconut Water, Organic Virgin Coconut Oil etc. With regard to the Export of Fresh Coconut, demand remained strong throughout the year, although negative headwinds brought pressure on the business in the latter part of the financial year. For instance the additional levy of Rs. 10/- per nut imposed by the Sri Lankan government proved to be a severe blow, making it difficult for Sri Lankan products to compete in the Global market on price alone. The added cost burden also meant slimmer margins in this line of business. However, in response to these challenges and reduce the dependence on the Sri Lanka, the Trading unit plans to capitalise through a multi-origin trading model to expand the procurement network by exporting out of Indonesia, Malaysia and India. In the Fresh fruits business too, the first and the second quarters of the financial years produced good results, marked by strong volume growth and stable margins. However challenged by unfavourable weather conditions, outputs dropped drastically in the third and fourth quarters, making it increasingly difficult to meet the global demand from key markets in the Middle East. Meanwhile, bolstered by strong demand from captive markets, Sri Lankan Desiccated Coconut (DC), trading volumes registered a year-on-year improvement. Here too the multi-origin trading model contributed to the growth in volume for the year. However with global market prices in 2016/17 lower than in the year before, Revenue generated through DC Trading dropped slightly in the year under review. Being a niche market offering, the global demand for Organic products stayed strong throughout the year, enabling the Trading unit to meet expected performance targets set for the current financial year. Meanwhile, leveraging on the global movement towards Organic food, the Trading unit was able to expand its reach to a number of new markets in Europe and the Americas. Having predominantly focused on trading activities in the past, the next step for the Trading unit was to gain more control over the supply chain, which prompted the move towards manufacturing. 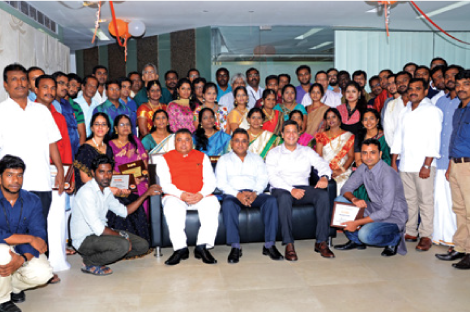 Already operating a small-scale plant for the processing of King coconut Water in Biyagama, the decision was made to invest in a fully-fledged manufacturing facility that would have the downstream capacity to produce more value added products aimed at specific B2B markets around the world. The move signifies a shift in the traditional generic trading business model towards an integrated value chain concept that ties in with the Expolanka Group’s strategy to build cohesive business synergies in order to create a scalable platform for growth of each business vertical. In addition to the benefits from a nondisruptive supply chain and effective control over the manufacturing process, the new plant would also facilitate greater transparency, enabling the Trading unit to benchmark globally accepted best practices that would be the key competitive lever in the global market, particular in the value-added and organic product range. As part of the first phase of the project, the groundwork was completed and construction started on a high-capacity UHT aseptic plant in Seeduwa, to commence production of certain fastmoving Coconut products. The strategy going forward would be to expand the value-added product range to capture a broader spectrum of the global B2B market. This would be coupled with efforts to break into the global B2C market by securing first-mover advantage in emerging B2C markets. This would require substantial investment in R & D as well as aggressive branding in order to create a lifestyle brand and secure the correct global market positioning. The focus would therefore be to create a differentiation based on quality and compliance, rather than on price alone. At the same time, the core trading business will also be expanded to offer a wider range of options to the B2B market. Doing so would mean further strengthening the multi-origin trading model to gain access to newer sources within the region in the years ahead. T X 360 is an extension of the Group’s dedicated software solutions unit, which serves the requirements of the core businesses in freight and logistics. The newest addition to the Group’s portfolio, setting up of ITX 360 forms part of the natural progression of the Group’s inorganic growth strategy to expand other business verticals. As an independent SBU, the Company, while continuing to serve the Group’s requirements while pursue external revenue generating opportunities through the provision of specialised services ranging from consultancy services, software development and managed IT solutions that are geared for the logistics industry.